How did Martin Luther King Jr.’s march on Washington D.C. end plastered on a bus stop? How did a political revolution become a shopping holiday? Dr. Peter Kuryla, associate professor of history at Belmont University, began his seminar “Civil Rights Demonstrations Amid Courtroom Melodramas: To Kill a Mockingbird and the Imagined Civil Rights Movement,” with just those questions. What made the demonstrations of civil rights activists so powerful, Dr. Kuryla argued, was the fact that the demonstrations like those in Selma or Anniston “put white violence against black people on display.” This influx of unnerving images of disorder, violence, and chaos prompted Americans to respond in a strange way: their media consumption. To showcase an example Dr. Kuryla turned to ABC’s television schedule on Bloody Sunday in 1965. While Selma, Alabama was erupting in violence, ABC was preparing to show the night’s scheduled film, Judgement at Nuremburg, a courtroom drama centered around the trials of Nazi war criminals. 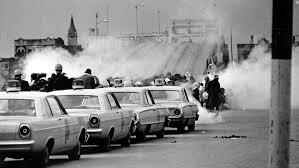 During the film, breaking news interrupted the fictional drama with footage from the streets of of the Selma march. This moment of spliced film strips cemented the connection in people’s minds; what made the Nazi criminals any different from Alabama law enforcement? And which was easier to watch? Marlena Dietrich and Montgomery Clift playing the scripted justice of a courtroom or real Americans divided and viciously beating their countrymen on the pavement? Enter To Kill a Mockingbird. This book, which now tops high school reading lists, was released in 1960 and adapted to film in 1962. In the midst of real turmoil, Americans were turning in droves to fiction for order and understanding. To demonstrate the influence of courtroom fiction, Dr. Kuryla showed the scholars the trial scene from the To Kill A Mockingbird film. Afterwards he asked the Scholars to analyze the characters and reveal the message that depicts “Black people [as] largely defenseless and innocent,” and their savior as a “white, middle class, liberal, educated man.” In reality, Dr. Kuryla argued, the civil rights movement was much less orderly and the roles much less defined. In the midst of the real civil rights movement there were less white lawyers defending equality, and more black activists in the streets, doing the movement themselves. 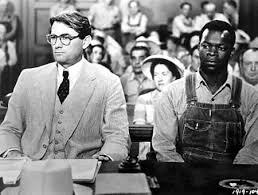 But according to Dr. Kuryla the courtroom drama dynamic that populated so much literature and film at the time of the civil rights movement is exactly what has altered its collective memory. Dr. Kuryla presented the scholars with research showing that Americans consumed more courtroom drama during the time of the civil rights movement than any other time in history. But why the love for court? 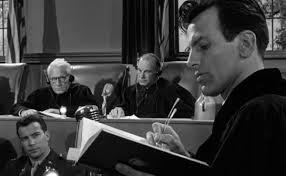 He asserted that the order of courtroom fiction became most appealing during a time of upheaval, when both laws and ideas were being challenged, when violence seemed to reign over justice. He also noted that as the logic of the courtroom has been mapped onto our understanding of that time period, the movement has slowly lost its controversial nature and eventually slipped into commercialism. 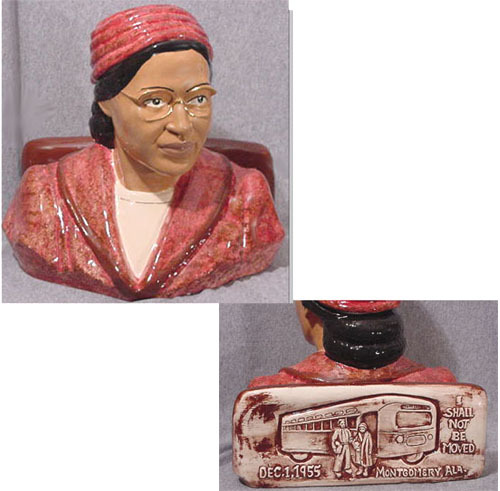 In a world where education and public opinion remember Harper Lee more often than Emmett Till and the judge’s bench over the Selma streets, Dr. Kuryla challenged the scholars to take a new look at history and think about how and what we consume in order to resist turning a political revolution into a cheap souvenir.